Please Note: Sonus SBCs are highly customisable depending on the solution required. Before you enquire, please have answers to the following questions. This product may also have a lead time of up to 1-2 weeks. The Sonus SBC-5200 Session Border Controller is the first SBC that addresses the next-generation needs of SIP communications by delivering embedded media transcoding, robust security and advanced call routing in a high-performance, small form-factor device. The Sonus SBC 5200 enables service providers and enterprises to quickly and securely enhance their network by implementing new services like SIP trunking, secure Unified Communications and Voice over IP (VoIP). 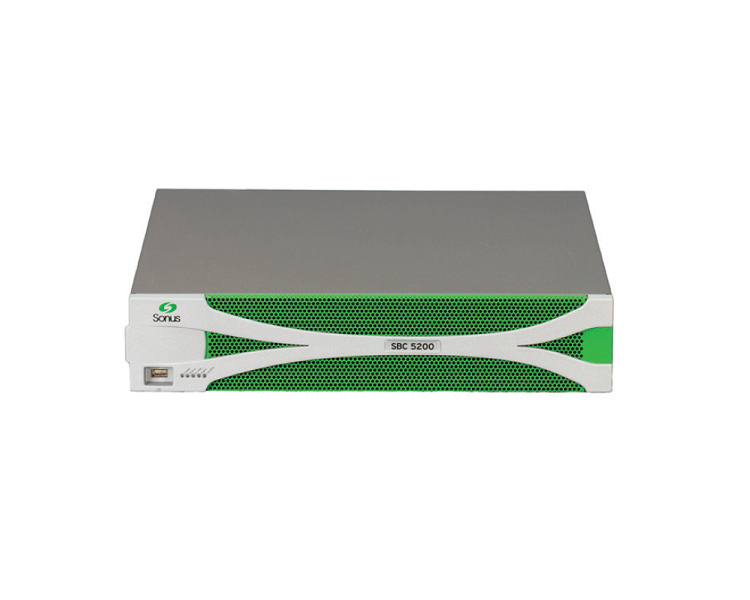 The SBC 5200 provides a reliable, scalable platform for IP interconnect that delivers the longstanding strengths of the Sonus SBC 9000â„¢ Session Border Controllerâ€”security, session control, bandwidth management, advanced media services and integrated billing/reporting toolsâ€”in an SBC appliance. BRI/ ISDN2 - Number of channels or trunks to PBX? SIP and/or Microsoft Lync/’Skype for Business’ sessions - Number of concurrent calls/channels? If yes, how many local Lync users will register with SBA? What is the expected CPS (Calls Per Second) setup rate? Is a predictive dialer in use? VoIPon - your Sonus SBC-5200 Session Border Controller[SBC-5200] distributor, supplier, reseller! Get all your wifi at VoIPon! If you would like to be notified when the"Sonus SBC-5200 Session Border Controller" is re-stocked, please enter your contact details and we will notify you instantly.